Jewelry Supplies: Storage - Frabels Inc. 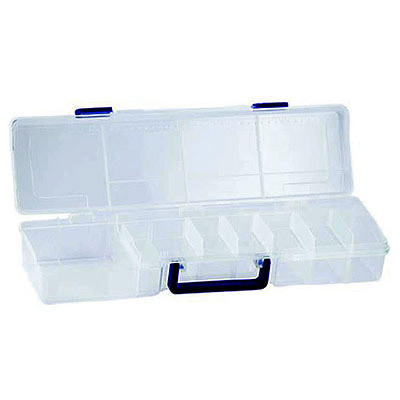 Storage organizer with 16 compartments and removable insert tray, 19.5x5.5x3.6 inch. (SKU# JBOX8). Sold individually. 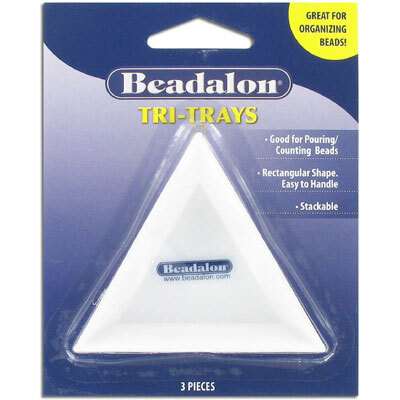 Beadalon tri-tray organizers (3). (SKU# JB207021). Sold individually. Beadalon fabric box case w/boxes. (SKU# JB207040). Sold individually. Carry case, 17-tray black with collapsible hand, 40.5x23x48 cm. (SKU# JB205LH/BLK). Sold individually. 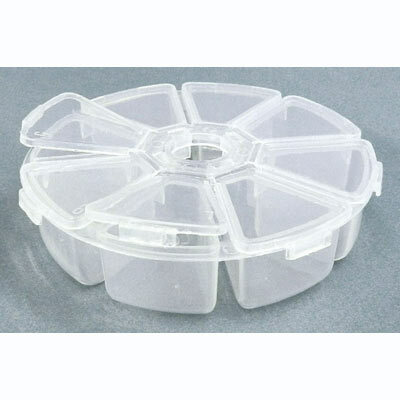 Beadalon storage plastic containers, 5 cm (2") diameter, 6 compartments, stackable. (SKU# JB207010). Sold individually. Tools zipper pouch storage. 19.7x12.7x2.5cm (7.75"x5"x1"). (SKU# JT207). Sold individually. Beadalon storage organizer, 17 compartments. 27x18x4cm (10.75"x7"x1.5"). (SKU# JBOX2). Sold individually. Beadalon storage organizer, 8 compartments. 18x14x4cm (7"x5.5"x1.5"). (SKU# JBOX1). Sold individually. Beadalon storage organizer, 52 compartments. 25.5x18x4.5cm (10"x7.25"x1.75"). (SKU# JB207500). Sold individually. Lightweight 12-tray carrying case, 40x24x33 cm, black. (SKU# JB205/BLK). Sold individually.